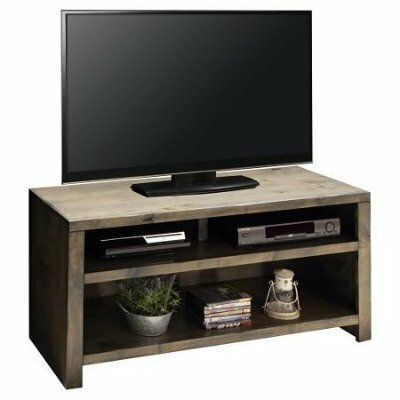 This rustic brown 3 piece simple entertainment center from RC Willey has everything you need to house your television and audio and visual equipment. With space for a soundbar, media player, streaming devices, and storage for your media. 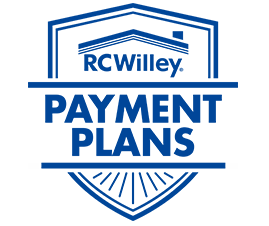 Organize your living space this year and transform your home. Made in the USA, this heavily distressed 61 inch rustic TV stand from RC Willey is perfect for your entertainment room, or any room you like to watch TV! With its clean lines and barnwood finish, this piece adds a modern yet rustic feel to your room. The open shelves allow plenty of space for your DVD players or other media center devices. Kick up your feet and relax with some TV time with this beautiful piece from RC Willey. 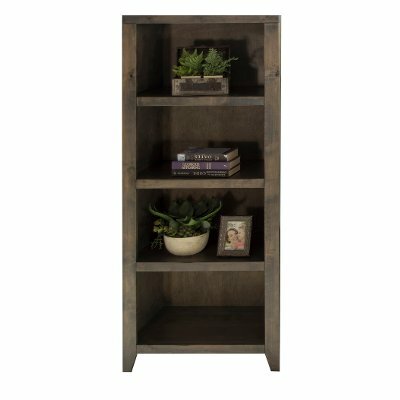 Add some rustic style to your home with this knotty alder bookcase from RC Willey. Perfect for a bedroom, home office, or living room, add some storage space today. With four shelves, you have room to store books and show your favorite display pieces.